Fifty years ago, chamber music awakened in Los Angeles with the creation of Los Angeles Chamber Orchestra. Sir Neville Marriner, after auditioning musicians for the Orchestra, remarked on what he found here. 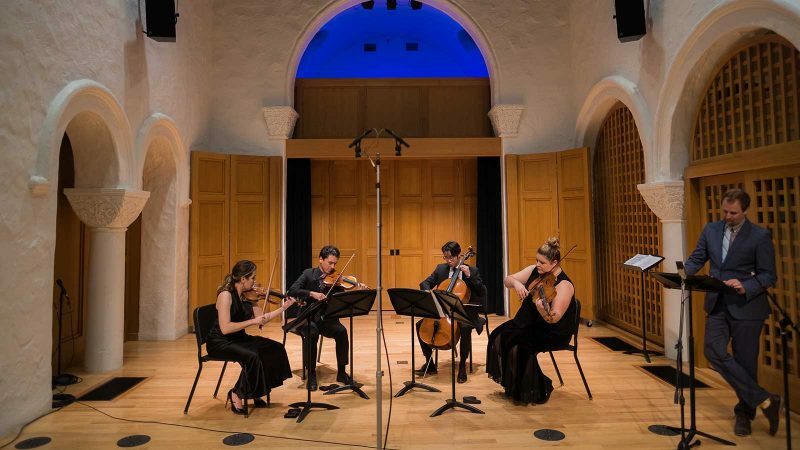 Chamber Music LA partners include Camerata Pacifica, The Colburn School, The Da Camera Society, Jacaranda Music, Los Angeles Chamber Orchestra, Musica Angelica, Pittance Chamber Music, and Salastina Music Society (pictured). The dream of the founding board was to awaken the entire art form—orchestral, ensemble, solo—to do justice to this precious resource our city has. LACO has long fulfilled this city’s need for a Chamber Orchestra, but many fellow music lovers have long shared a dream that Los Angeles would one day be home to a society of chamber music ensembles performing and partnering at the highest levels. Chamber music draws listeners close to the music and its creation. It provides a unique connection to the purity of the musical experience. I’m pleased to report that Chamber Music LA is the beginning of that dream made true. Eight acclaimed Los Angeles presenters, committed to the intimacy and up-close immediacy of this diverse genre, have partnered to make sure your diary is as full of concerts as possible. The groups span centuries of practice and countless musical styles and formats. Their sounds are timeless, but they meet you here, in the nation’s most vibrant region for the performance of music that matters. Learn more, and subscribe to the Play On! Newsletter, at chambermusic.la. Warner Henry has served on LACO’s Board of Directors and now sits as an Emeritus Board Member. He has provided more than four decades of leadership service to the Orchestra. 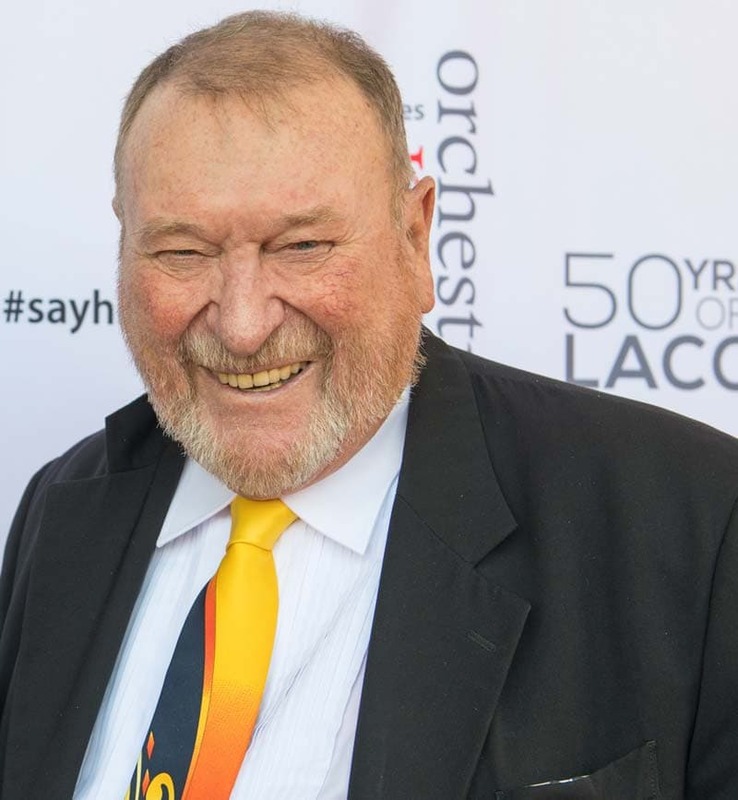 Warner Henry is also a LACO ambassador who furthers the Orchestra’s community partnerships and collaborations. Warner has been a major underwriter of Baroque Conversations since its inception and hosted numerous LACO fundraisers. Warner & Carol Henry were honored at LACO’s 2011 concert gala.